Currently viewing the tag: "Sons of Sleaze"
"Do you like it raw? If you don't, you should. As noted last week, extreme metal is constantly (and inadvertently) aspiring to castrate itself. The best metal wares are rooted in rebellion and danger, and the more we compress and homogenize the art form, those elements become diluted. The human element is erodes. 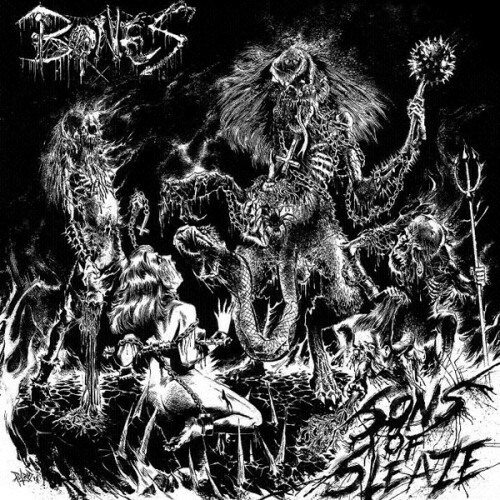 Bones are a band comprised of humans. Dirty humans. Angry humans. And they sound like it." Raw, dirty, angry music? Seems like a "can't miss" kind of proposition. Jordan Campbell rolls the bones and tells you if that's true.